Do you have lots of little stickers that you have bought in packs and never used. I did, probably over a thousand stickers! 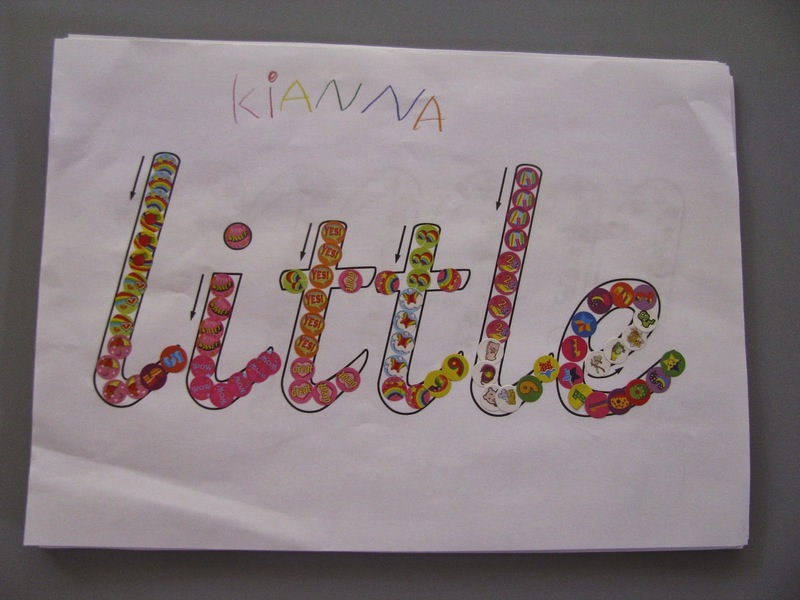 Last week, we traced over the word little using "little stickers". I must tell you, that if you want the children to work independently and do some individual testing, then this is your activity. They were the most focused for the longest time I have seen so far! 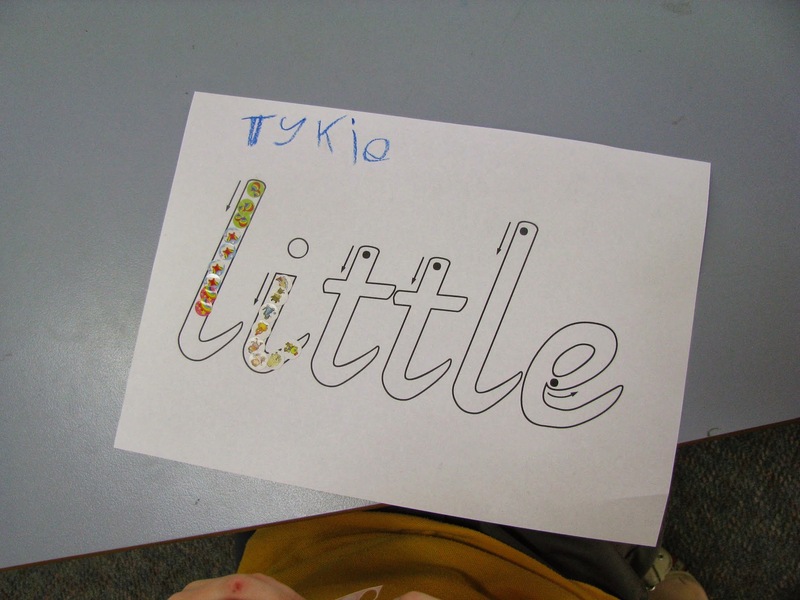 We are learning sight words and I am trying to come up with a way to teach the children the word, while combining fine motor skills! 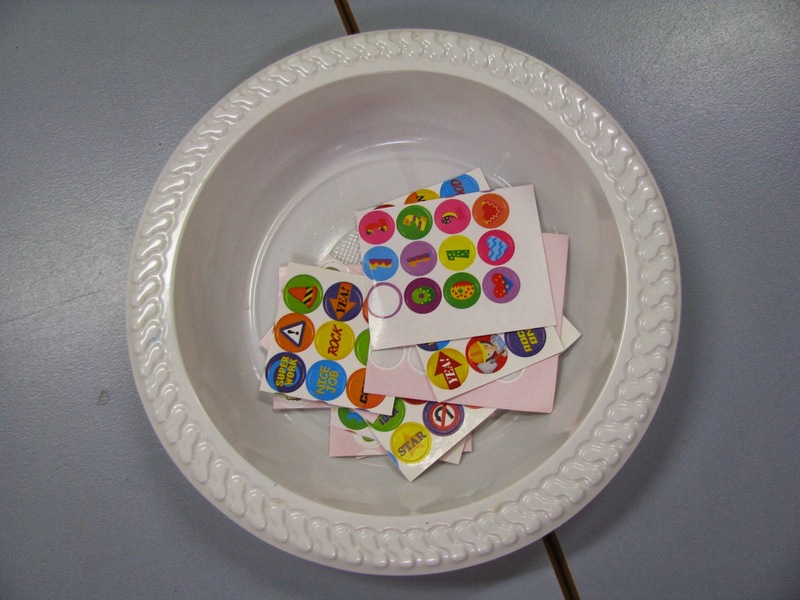 I cut the stickers up into little sheets and put them in the middle of the table for the children to share. Finished product! They were very particular! My ASD student even separated each letter into a different picture on the sticker and went searching around the room to find the sticker he needed. Lastly, I wanted to share with you a great idea a student of mine had when we were looking at Ii. 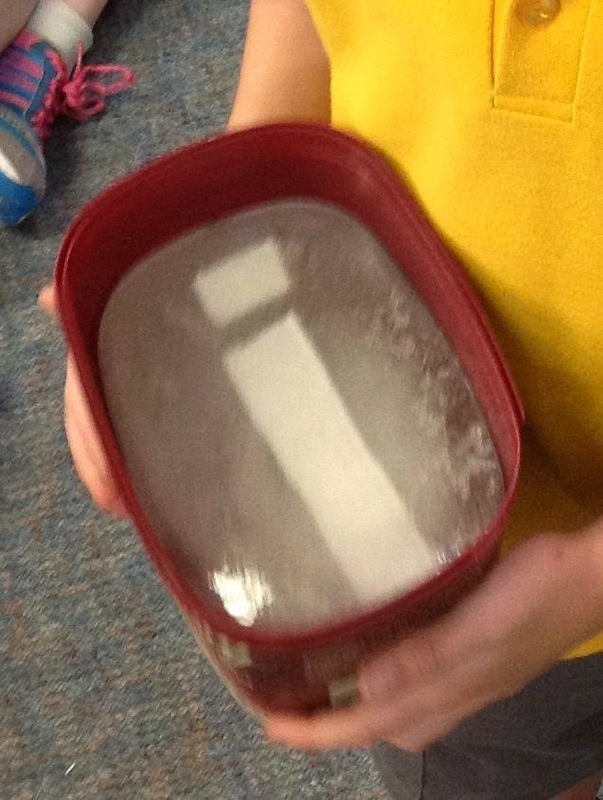 He froze water to make ice, then put an "i" on it using material, then more ice on top. Plus it was made in an ice-cream container! Very creative parents! We watched the the ice melt across the day!